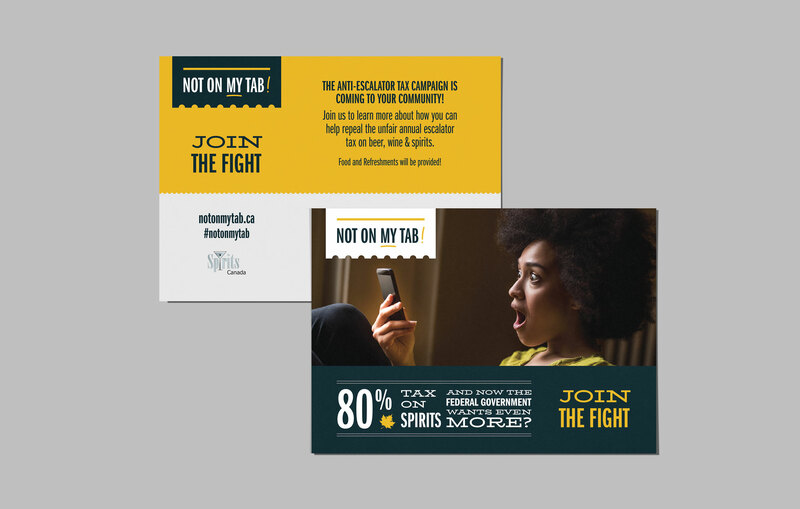 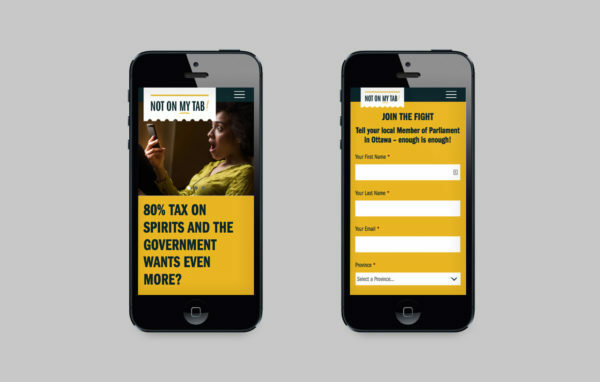 Continuous annual tax increases on spirits prompted the creation of this campaign meant to promote grassroots support from the community to repeal the legislation. 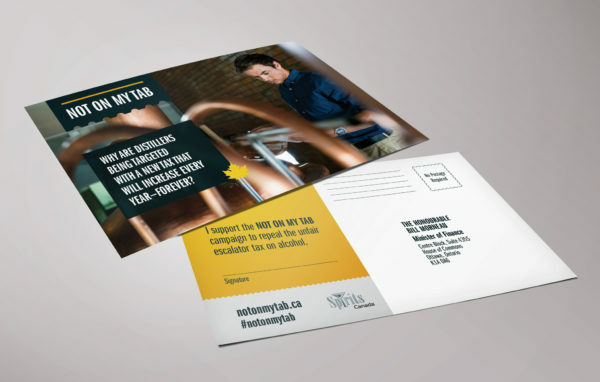 After an extensive information-gathering process, we produced comprehensive reports that identified the target audience and explored key concepts that would inspire action. 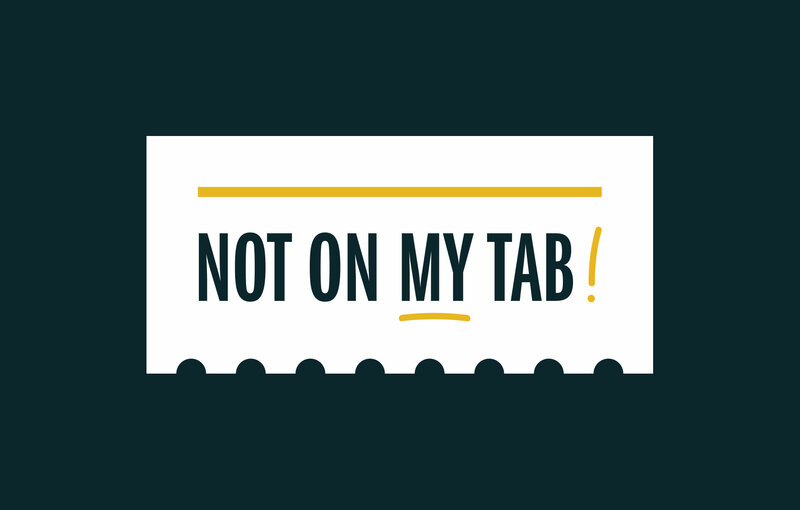 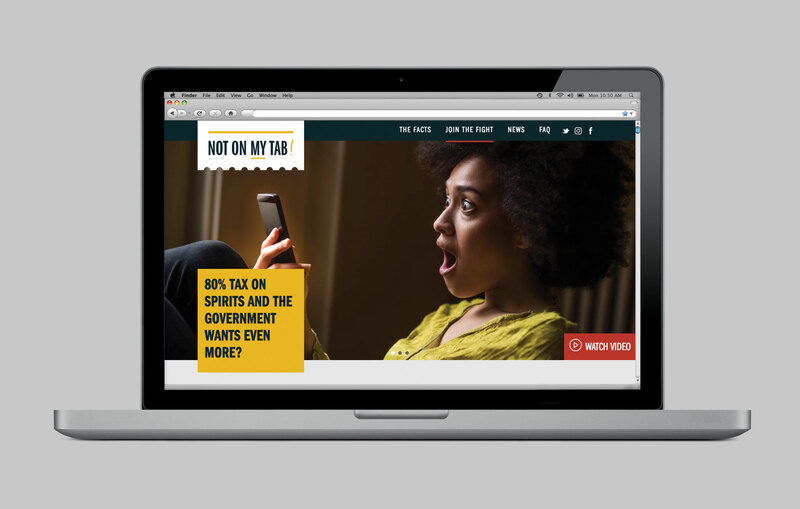 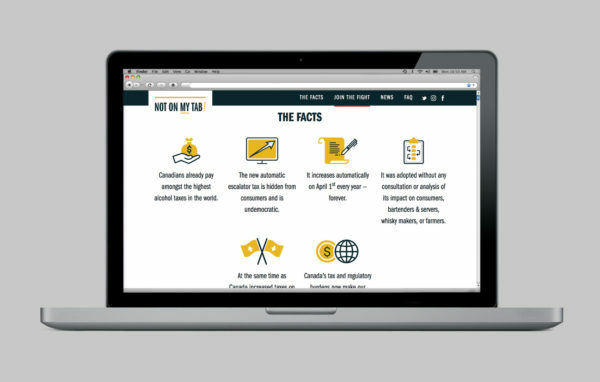 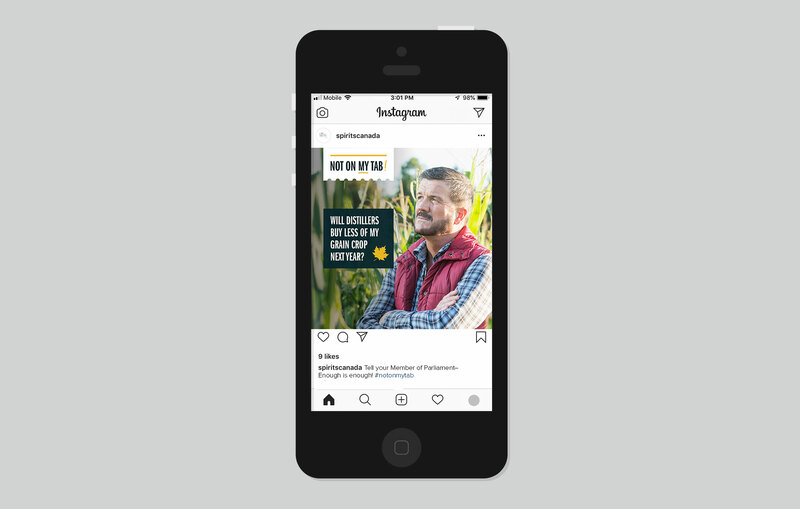 On this foundation we developed and delivering three creative campaign concepts that were meant to be thought-provoking and informative, from which “Not On My Tab” was selected as the winner. 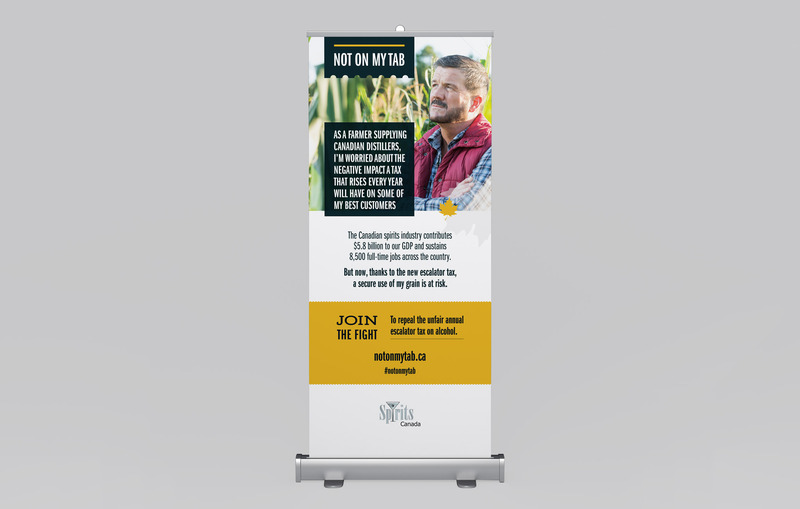 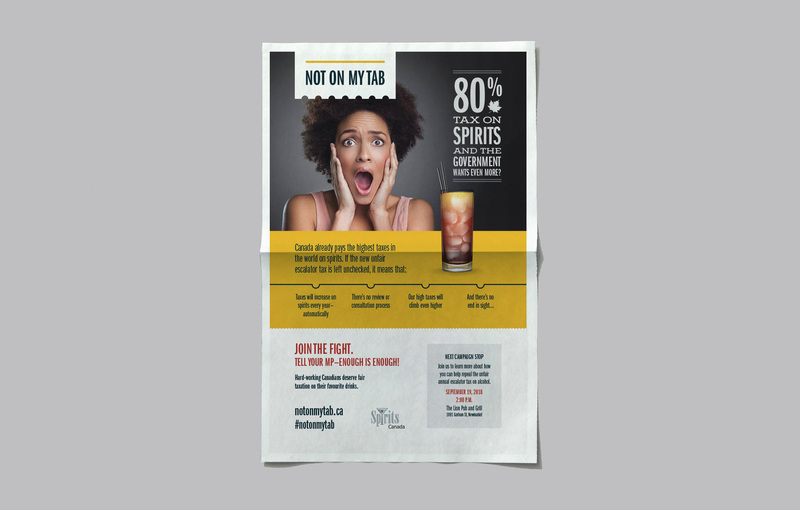 We then refined and perfected the visual style of the campaign for use on a variety of marketing collateral, which gave Spirits Canada all the ingredients to launch a successful campaign!